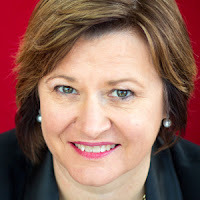 Yesterday, while at the New Zealand CIO Summit, I had the privilege of listening to Jacki Johnson (CEO of IAG's New Zealand business) talking about the challenges that businesses and leadership are facing in a modern digital world. One of the things that always excites me, is when I hear people talking about customer centricity. Jacki is one of those people. Businesses are encountering significant challenges due to disruptive technology and rapidly changing customer demographics. Today's threat is about being out-competed by younger, more nimble companies if we don't think about the customer. Small business has the ability to leapfrog big business. Jacki shared a story about a trip she made to the slums of Dharavi, India (where Slumdog Millionaire was filmed). This story is confronting as it highlights how smaller companies who are customer focused can take our place. Jacki met with a lady who had started up a small enterprise, cooking food for local businesses out of her 3m x 3m home. She had a single hotplate, provided by World Vision. The only technology the lady had (other than a hotplate) was a mobile phone. An essential piece of equipment for order taking. Through a translator the lady was asked what her biggest challenge was. Jacki's group expected her answer to be along the lines of needing more hotplates. However she responded by saying, "I don't know how I'm going to keep up with my customers' changing appetite and what they like." Her response surprised the group of visitors because of how customer focused she was. Upon further questioning, she revealed that her customers were wanting Asian cuisine and she only knew how to cook Indian food. She was listening to her customers and knew how she needed to adapt. According to IDG, over 80% of money spent on Information Technology projects is now marketing related. Over the two days of the conference, many of the presenters talked about the need for Information Departments to work on building better relationships across the business with a deliberate focus on customer outcomes. I feel that there may be a gap between these new relationships and IT professionals' ability to have strong interpersonal relations at the best of times. Jacki said something I hope I will never forget while working with technology, "We are analog humans living in a digital world." Keeping this at the front of our minds will help us to build relationships with customers, vendors and people within the business without expecting programmed responses or outcomes. It will help us to hold onto the joy of unpredictable surprises. After all, business is about people, not technology. If IT is to deliver excellence to the business, we need to be focused on better customer outcomes.